Posted: Thu Mar 15, 2012 12:20 pm Post subject: [RA2/YR] SHP Downloads! -Remap problem. Will fix soon! Credit me if you use my work in a public mod. 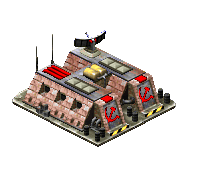 What can I say, cyborgs and obelisks are Nod's, not Soviet's. So, I think you should make them TS-sized as they won't probably be used in a RA2/YR mod. Wow, Medalmonkey lives! Glad to see you back. @ TiberFCSL you know units can be edited right or you make a semi-tc/TC mod? The Syrian side in my mod uses cyborg infantry. Hell yes, neat SHPs. This thread is officially amazing. STORM TROOPER AVAILABLE FOR DOWNLOAD! Nice work man, the shp looks awesome. I have seen Morales from Mental Omega, BUT I haven't seen a close look of him! Can you get me a good screen shot or animation of him? It's just a recolored Boris.... so Bu7loos is wrong. Your WIP SHP looks more Morales than that thing used. True, I'd really like to use that Boris edit for Morales. The edit I use still has a long coat which doesn't really fit. OBELISK TROOPER AVAILABLE FOR DOWNLOAD! Sir, you are a saint. True, I'd really like to use that Boris edit for Morales. BTW About my Head hunter, I was incorrect about the percentage I was done with him. I am closer to 25% done with him, because I forgot all about the crawl//crawl+attack frames DOH! My plans are to still finish him by April 20th tho!! I am planning a ra2 yr mod after i finished my ts mod. i downloaded your units and since i find them to be of exceptionally good quality and like them a lot they will most likely be used. Thats how we do son! Thanks for the complement. Not many people appreciate the subtleties of pixel art. I have no screenshots, but I have plans for the "Soviet Cyborg". I *might* find a use for the "Obelisk Trooper", though not quite what you intended them as for sure. I might find some use for Storm Trooper & Obelisk Trooper. I reckon Obelisk would look better if the helmet was gray/black like the body. Maybe that's just my personal opinion, though. Either way, superb work. These are some of the best C&P infantry SHP's ever created at any rate. I reckon Obelisk would look better if the helmet was gray/black like the body. Maybe that's just my personal opinion, though. New infantry should be coming soon! If people bothered to read the updates for RO, I do add a little "Voxol/SHP" tag at the bottom that says what the Voxol/SHP is and where I found it. I love the ideas and the obelisk trooper looks crisp as hell. Thanks! I try to give each unit a unique look. I'm surprised people aren't demanding it already TBH. Still, this looks like Spotlightable content. Aw, you guys make me feel special! - Combat bear?! HOPEFULLY FINISHED ONCE I GET PHOTOSHOP AGAIN!!! Good to hear ,Btw do you use MegaMan X's Explsion anims in death seqaunce because it has a lot incommon with that game..
For those of us who use Ares to make new sides... Well, I haven't got that far yet So Yuri has all the Obelisk stuff until I unlazify myself further! Posted: Wed Sep 03, 2014 9:26 am Post subject: . i'd really love to see that airpad as a public shp download. it looks beautiful, i'm speechless. Correct me if I'm wrong, but you can get everything except damage frames from that gif. maybe you're right, but i don't know how; quite a noob in shp making here. would you be so kind and tell me how this can be done using free tools (no photoshop here, only gimp)? i'm willing to learn! after that you do the same for the animations and buildup, though then, the number of frames can be higher. Buildup is best to have 50 frames in total only (25 image frames + 25 shadow frames), though no problem as this simple buildup has less than this limit. The best way you learn is also by looking on original SHPs and see how they work. Then simply adapt and apply to this new building. Also take look in the newbie guide in modding.